It was a challenge to maintain the integrity of the original structure and provide clean, fresh space for our future tenants. We were excited about the potential of this building, and feel our work represents the best of both worlds: historic charm and modern amenities. Browse the updated photos, and let us know what you think! Flexible options, historic appeal, and ready for real life. The Garfield has 12 apartments, several featuring lofts, and many are barrier-free. This means whoever you are, wherever you come from, and no matter your needs, we have options to suit your lifestyle. 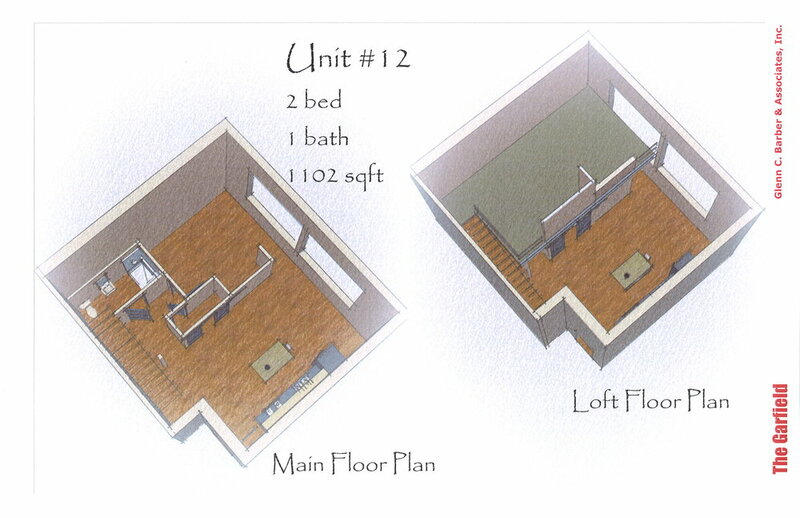 3 bedroom units range from 1172 sq. ft to 1376 sq. ft- barrier free and loft options available. 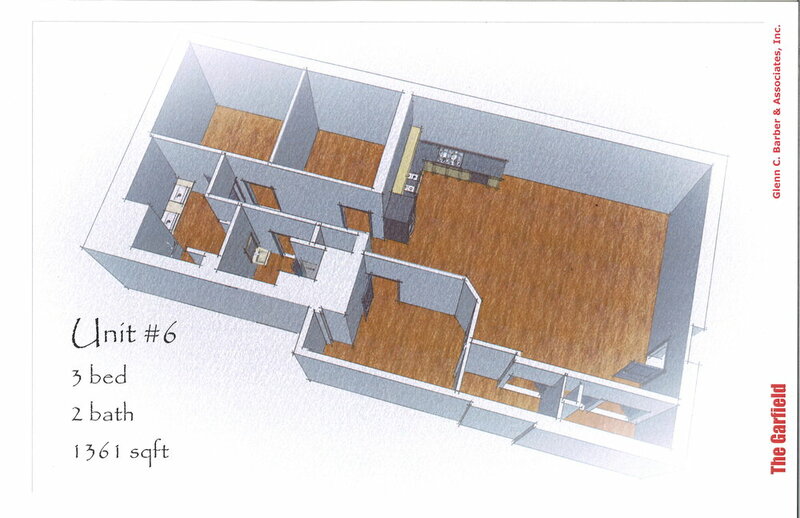 2 bedroom units range from 777 sq. ft to 2110 sq. ft- many feature lofts, and barrier-free options exist. 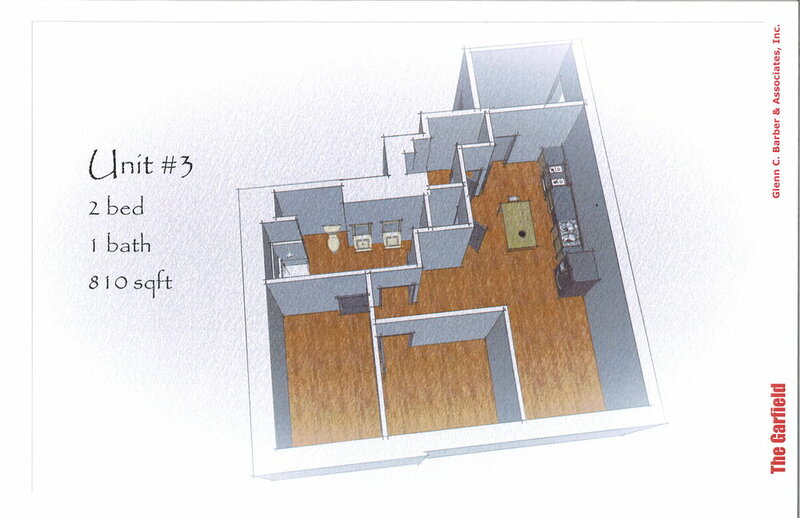 1 bedroom units are 827 sq. ft and 898 sq. ft, and both are accommodate barrier-free/ handicap-accessible living. The Garfield is more than a new living complex, it's a piece of art. View each of the twelve unique units and enjoy a trip down memory lane - each unit features historic elements from the school that inhabited the building for more than a century. There's a lot to love about the new living complex in The Garfield! For a complete overview of this historic renovation, a gallery of beautiful work-in-progress photos, and a comprehensive listing of amenities like the ones shown below, please browse the site and contact us! Why choose The Garfield for your upcoming move? Lofts with lots of open space. Access to trails and community green space. Rapid City is undergoing a transformative period of increased innovation, a rejuvenated downtown district with big ideas, and new economic growth pouring into the city and surrounding areas. Make your move to The Garfield, a historic building undergoing renovation into a modern living complex for people from all walks of life. This is the perfect opportunity to live in the center of the city and become a part of the change! The Garfield is a well known historic building in the heart of Rapid City, South Dakota. Constructed in 1908, The Garfield served as a schoolhouse for more than a century. Updated in 1934 and 1936 with substantial additions, this well utilized schoolhouse became a multi-level, multi-classroom community building. Now, with the intention to honor its history, The Garfield will be transformed into a multi-family living complex. Large, spacious apartments meet wide, panoramic views of the Black Hills. Airy loft options, flexible floorplan layouts, and built-in storage are all a part of the package. Bike path access, bike storage, and repair rooms await. Amenities that are music to your ears. Within minutes of biking and walking trails, community green areas, and the heart of downtown Rapid City, The Garfield location offers superb perks. 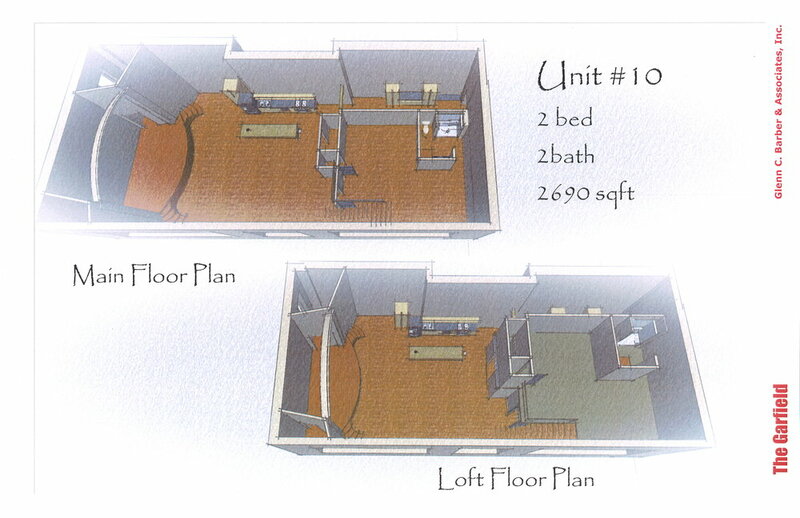 The units themselves have unique floor plans, an open, airy feel, and plenty of storage. Moveable kitchen islands and historic building pieces re-purposed and re-used throughout the new construction make this a modern dwelling with some serious charm. If you're into biking and apartment living, you'll be happily surprised to find The Garfield equipped with a room dedicated to bike storage (and repair, if you're up for it!). If you're looking for an apartment that's barrier free, but doesn't lack modern amenities and an upgraded feel, you can confidently schedule a viewing with us! Modern, loft-style apartments you've been looking for! The Garfield features lofts to fit every lifestyle - each loft is unique and reflects the history of the building. Click below to view each floor-plan, and contact us to learn more!